I received an A.S. degree from Peirce College in Philadelphia 1968. I relocated to New Mexico in 1975. I moved to 40 acres with my husband and entered a new world of Mexican food, tumbleweeds, dust storms, ghost towns, rockhounding, the very much alive desert, rattlesnakes and roadrunners. Moving from south Jersey to tiny Lordsburg and then to Deming, NM, was like moving to another planet. After 40 years I am still full of "East Coast Astonishment"! 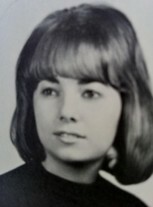 I graduated from Western New Mexico University in 1978 and was employed as a social worker for the State of New Mexico. I have been a lifelong animal activist and my current organization, Deming Animal Guardians, has sponsored the spay/neuter of 11,000 local dogs and cats. I have a fabulous cathouse of rescued felines. Never get back to Jersey. Do you still see/hang out/talk with classmates? Who? What did you do right after school? What are you doing now? What have been the high points of your life since high school? Protesting for a beaten El Paso zoo elephant, to free Chimpanzees enduring vivisection, Fur Free Fridays, speaking up for the reintroduction of Mexican gray wolves, working to ban cockfighting in New Mexico. Pat Danser Nesselroad has a birthday today. Pat Danser Nesselroad has a birthday today. New comment added. Pat Danser Nesselroad posted a message. New comment added. Hi Sherri - old friend! I've been looking for you to sign up. It's so amazing to connect after all these years and here we are in New Mexico and Texas! I read somewhere that you are also an animal activist. I would love to hear about that. Hope you are well after surgery. Pat Danser Nesselroad posted a message. Hey Jan - my brother John in Tucson remembers your dog Louie. He says "Louie was the coolest dog. He even stopped a football game at HMHS. He was known all over town!" Hi Jan - from your neighbor over the fence! I remember you from Lizzy Haddon days! Very impressed Josh that you worked with David Brower! From a fellow environmentalist in New Mexico. Pat Danser Nesselroad updated her profile. View. Pat Danser Nesselroad added a photo to her profile gallery.